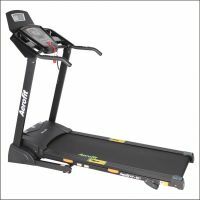 You can see list of our Domestic Treadmills: Top Rated Models below, perform Side-by-Side comparison. If you need further help, do have a look at Conzumr Guides and Tips. Alternatively you can view all Treadmill to choose your own favourites. Speed Rating: (0- 13) Km/hr. Maximum User Weight: 110 Kg. Hand Pulse System. 4 in 1 Treadmill - Dlx : Hand Pulse System. 3 level manual incline. 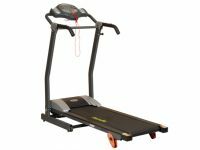 4 in 1 Treadmill - Dlx : 3 level manual incline. Heart rate, time, distance, speed and calories. AF 801 : Heart rate, time, distance, speed and calories. In-built high fidelity stereo speaker. AF 801 : In-built high fidelity stereo speaker. wheels for easy portability. 4 in 1 Treadmill - Dlx : wheels for easy portability. Time, distance and speed can be manually preset as per user requirement. AF 801 : Time, distance and speed can be manually preset as per user requirement. Heavy-gauge welded steel with textured proprietary two coat electro statically powder process finish to ensure minimum corrosion and chip resistance. AF 801 : Heavy-gauge welded steel with textured proprietary two coat electro statically powder process finish to ensure minimum corrosion and chip resistance. 54 " AF 801 : 54 "
48 " AF 799 : 48 "
18 " AF 801 : 18 "
16 " AF 799 : 16 "
Twister helps to slim the thighs, waist and hips. 4 in 1 Treadmill - Dlx : Twister helps to slim the thighs, waist and hips. 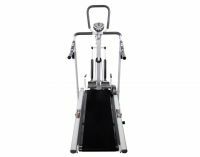 Stepper is perfect in improving heart & circulatory function and ideal in strengthening leg muscles. 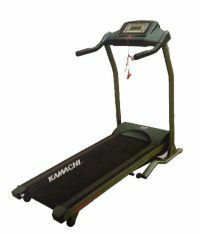 4 in 1 Treadmill - Dlx : Stepper is perfect in improving heart & circulatory function and ideal in strengthening leg muscles. 6-Point deck suspension/Anti shock and with extra cushioning system. AF 801 : 6-Point deck suspension/Anti shock and with extra cushioning system. Magnetic safety key. AF 801 : Magnetic safety key. DC Motor, 2.5 HP continuous, 5.0 HP peak, digital concepts P.W.M. control. AF 801 : DC Motor, 2.5 HP continuous, 5.0 HP peak, digital concepts P.W.M. control. Digital concepts PWM control. AF 801 : Digital concepts PWM control. 58 " AF 801 : 58 "
51 " AF 799 : 51 "
68 " AF 801 : 68 "
54 " AF 799 : 54 "
30 " AF 801 : 30 "
25 " AF 799 : 25 "
LCD with blue back light, single window display. AF 801 : LCD with blue back light, single window display. 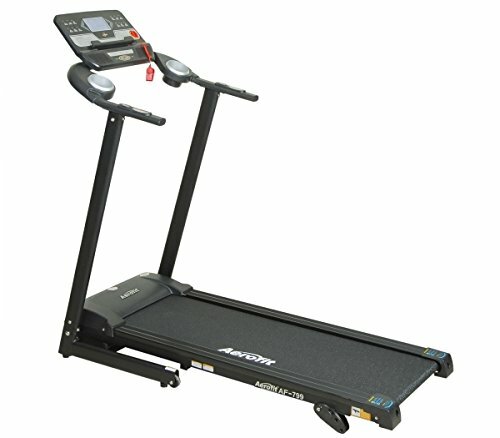 To Recieve updates and possible rewards for Lifeline 4 in 1 Treadmill - Dlx please sign in. To Recieve updates and possible rewards for Treadmill please sign in.